Photo courtesy of Melonie Rohn-Jordan: McGilvra Elementary staff member Melonie Rohn-Jordan's son, Matt, is battling stage IV colon cancer. 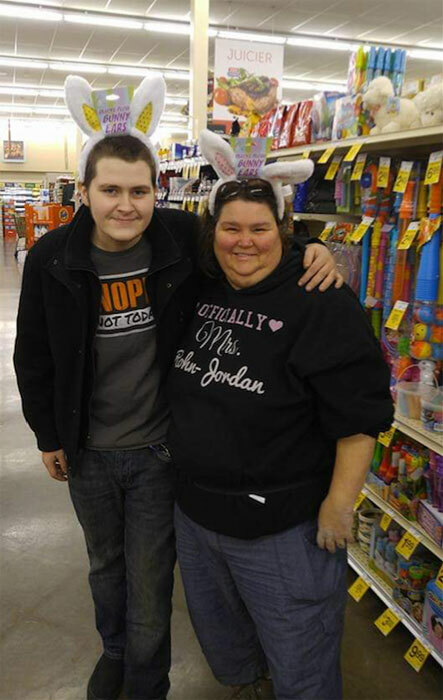 Rohn-Jordan's McGilvra family has started raising funds to help. Melonie Rohn-Jordan has spent more than 20 years taking care of Madison Park children at McGilvra Elementary. When her son, Matt, was diagnosed with stage IV colon cancer, she found out just how big her family really is. Matt, 23, was diagnosed with cancer in early October, following a long illness. When it turned out he was vomiting stool, they took Matt to the hospital, where doctors found a blockage in his colon. After opening him up for surgery, they found a tumor that had spread into his pancreas; the surgery was cancelled. “It was so huge, they were concerned about controlling the bleeding,” Rohn-Jordan said. Another nodule was recently found in his stomach that is starting to attack Matt’s stomach and liver, she said. “They said they had never seen anything like this in anybody so young,” Rohn-Jordan said. Before he can begin his chemotherapy, Matt has to heal from his surgical wounds. Rohn-Jordan, known around McGilvra Elementary as Ms. Melonie, started as a substitute in the school cafeteria in 1997, and later took on the position permanently. She added before-school care to her resume in 2000, followed by after-school care in 2002. And the school community has stepped in to help Rohn-Jordan, as she balances taking care of Matt with addressing the needs of her McGilvra children. McGilvra parent Lisa Scharnhorst has set up a GoFundMe page to help with Matt’s ongoing medical expenses, which are at around $15,000 currently, and will continue to grow as he goes through chemotherapy. Another parent set up a meal chain for Rohn-Jordan and her family, so many nights she doesn’t have to worry about cooking at home. A McGilvra classroom made cards for Rohn-Jordan and Matt, and one boy told her he asked his dad to put $45 from his allowance toward her GoFundMe page. Matt has his good days and bad, she said, and the same goes for her. While the family takes turns watching Matt, she said she knows her son wants her there for the difficult times.